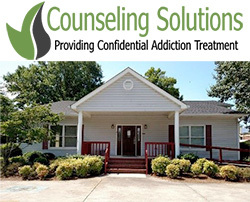 Counseling Solutions opened its first opioid treatment program (OTP) in Chatsworth, Georgia, in February, with the second, in Murphy, North Carolina, set to open this summer. Zachary Talbott, CMA, with his business partner Keith Jones, started the process in May of 2015, going through all of the steps—community approval, then accreditation by the Joint Commission, the Substance Abuse and Mental Health Services Administration (SAMHSA), the state, and the Drug Enforcement Administration (DEA). The DEA was the last step, and there were some delaying tactics, but finally the program was able to open. Keith Jones is the founder of MethodOne by Computalogic, a cloud-based clinic software and electronic health record, which is used at the Georgia location (www.computalogic.com). Mr. Talbott’s home state is Tennessee, where he is director of the Tennessee Statewide and Northwestern Georgia chapter of the National Alliance for Medication Assisted Recovery. But he chose neighboring Georgia to open the OTP because that state is more accepting of methadone maintenance treatment. The application process for Joint Commission accreditation was $1,800 and went very smoothly, as did the application process with SAMHSA. But opening an OTP is like building a house: there’s a huge upfront financial investment long before the first patient walks in the door. When we spoke with Mr. Talbott in March, he still had not collected a penny in salary for himself. Before even applying for accreditation, Georgia requires that a physician be retained (typically at more than $100 an hour) and an approved site be located (with rent paid). And there were some hitches along the way that resulted in delays. For the state, there was one application for the OTP, and one for the state pharmacy board. The state said the DEA application had to be done first, but the DEA said the state came first; only SAMHSA was able to resolve that problem. They got the pharmacy license in September of 2015. For the state survey, there were more delays, along with incompetence and corruption, as a state employee steered Mr. Talbott in the wrong direction (before leaving the job to work at a competing OTP). The DEA forms—required so that Mr. Talbott could order methadone—were also delayed. In the meantime, 100 patients were already on the waiting list. The site approval is the most difficult part for many OTPs, because of NIMBY (Not In My Back Yard) stigma, and a lack of understanding by many about what methadone is. Mr. Talbott, however, had no problems with NIMBY. And there’s no reason to hide an OTP from the community, added Mr. Talbott, who opens his OTP to the community during non-patient hours, with food and tours. “If you’re following the evidence and you’re treating your patients with respect, and you’re doing more than just selling methadone, you have nothing to hide. “People will see that the medication is just one part of the treatment; the majority of what we focus on, especially the first few months, is not the dose—it’s the cognitive behavioral therapy, and motivational interviewing, and group therapy,” he said. Sometimes, just writing a letter can make a huge difference for a patient. One man, a forklift driver, had a boss who was concerned that the methadone would be too impairing. “I sent literature and wrote a letter” explaining that the patient would not be sedated by the methadone and could still do the job, said Mr. Talbott, adding that the employer listened and the patient was very grateful. Mr. Talbott is in methadone-supported recovery. As an OTP operator, he had to take a drug test. The results came up positive for methadone, which caused no problems in the approval process. Case management, counseling, and additional services are what differentiate OTPs from office-based opioid treatment with buprenorphine. “You don’t get the structure with DATA (Drug Addiction Treatment Act) 2000 practices,” he said, referring to buprenorphine practices. A few patients in Chatsworth are taking buprenorphine instead of methadone. There are no DATA 2000 physicians in the area, “so we’re the only show in town for buprenorphine as well as methadone,” he said. One patient on buprenorphine actually switched from a DATA 2000 practice to the Chatsworth OTP. This patient’s first drug screen at the OTP was positive for multiple substances, because she never had any structure in her DATA 2000 treatment. She told Mr. Talbott that the buprenorphine doctor “’would look up at me over his glasses, ask me about four questions, and write me a prescription for four weeks,’” he said. “Now she says, ‘I feel as if I’m at a place that cares.’” Buprenorphine patients, like methadone patients, need to earn their take-homes at the OTP. In the meantime, Mr. Talbott is building up the program in Georgia, “hiring as we grow,” he said. “I didn’t hire all the staff on day 1 that I will need.” Currently there are 100 patients; the building as it is can accommodate 300. “I suspect that this will be more like 400 to 500 patients when all is said and done,” he said. He is concerned about possibly growing too fast, because he wants every patient to get all the attention needed; on the other hand, the demand is great. His main referral source is local physicians, and he knows his program, the only OTP for miles, is going to be full soon, as is the new program in North Carolina.